Besides recently announcing its first cruises to Cuba, Holland America Line has also unveiled the inaugural itineraries for its upcoming Nieuw Statendam as well as additional sailings in Mexico. Sister to the successful Koningsdam, the second Pinnacle Class ship will be delivered on December 1, 2018, and depart on its Premiere Voyage on December 5. After first leaving the Fincantieri shipyard in Marghera, Italy, the inaugural voyage will leave from Civitavecchia (Rome) on a 14-day transatlantic crossing to Fort Lauderdale, Florida. The Premiere Voyage will first call on Cartagena and Malaga, Spain, as well as Funchal, Madeira before seven sea days and a final overnight in Fort Lauderdale prior to disembarkation. From Florida, the Nieuw Statendam will sail the 2018-19 winter season, heading to the Caribbean primarily on weeklong routes with three-, four- and 10-day variants in between. All will feature the company’s private island of Half Moon Cay, with other destinations including Key West, Florida; Amber Cove, Dominican Republic; San Juan, Puerto Rico; St. Thomas, U.S. Virgin Islands; Nassau, Bahamas; Ocho Rios, Jamaica; Montego Bay, Jamaica; George Town, Grand Cayman; Grand Turk, Turks & Caicos; Kralendijk, Bonaire; Willemstad, Curacao; Oranjestad, Aruba and Cozumel, Mexico. Even before then, the 2017-18 Mexico cruise season will double down with a second Vista-class ship departing from San Diego, California to the Mexican Riviera. Joining the Westerdam will be its Oosterdam sister-ship sailing on roundtrip circuits from September 2017 through February 2018. 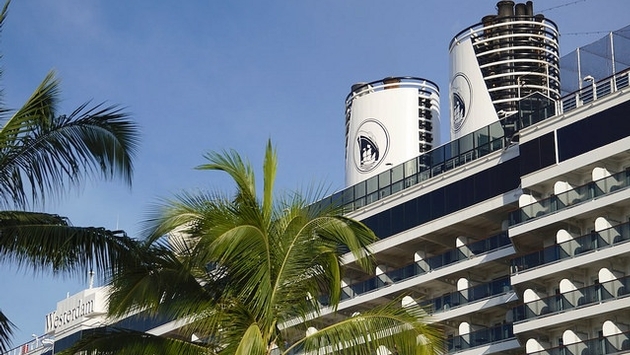 “Holland America Line’s last season in Mexico was very popular so we are adding capacity for the next season so that more of our guests can enjoy these itineraries that truly showcase the allure of the destination,” said Orlando Ashford, president of Holland America Line, in a press release. Onboard, Mexican experiences will continue thanks to EXC programming at Explorations Central. EXC Encounters will extend to local craft teaching, language and dance courses along with a mariachi band performance. An EXC Guide will also host an EXC Talk for more cultural information, and “America’s Test Kitchen” will present a regional cooking demo, class or mixology course. Elsewhere, the main dining room and Lido Market will showcase Mexican cuisine, while bars will highlight local liquors and ingredients. Even the shipboard ambiance will be enhanced with regional floral varieties and towel creations. AFAR Media will inform online EXC Port Planners with destination handbooks, while the EXC Team will further help guide guests shoreside, with EXC Maps and the EXC Channel infilling the rest.